After 5 years, I have reentered the workforce and have been on a temporary assignment at The Gentle Barn. 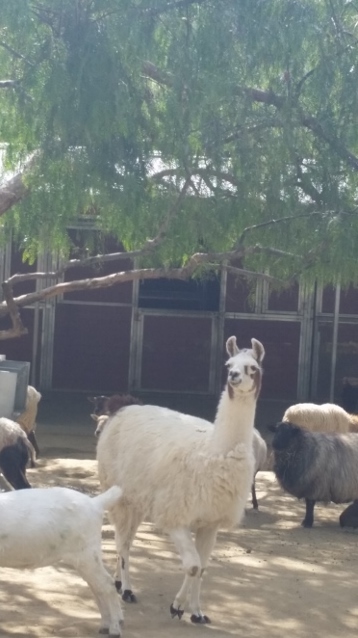 It is an animal sanctuary in Santa Clarita. You can check out their website here. While I work in their offices, I love the animals, how could you not? 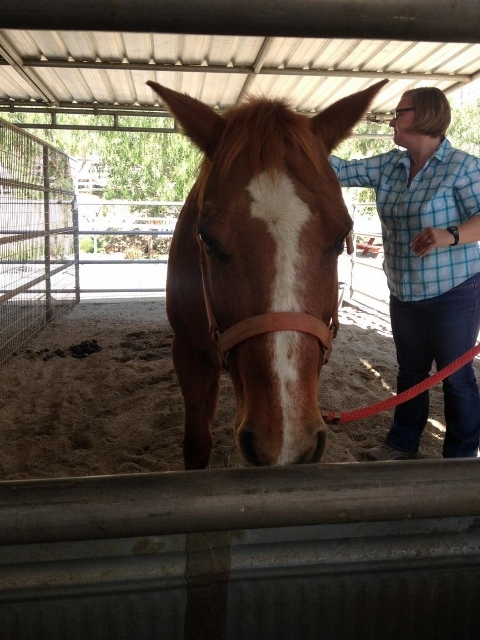 Every month, the founder Ellie hosts a “Office in the Barnyard”. 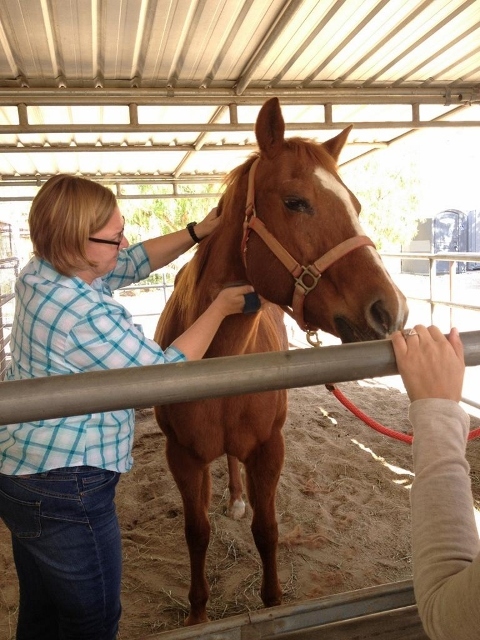 I was lucky enough to attend one at the end of March and we got to finish grooming Rosie and then took six horses and a donkey on a 1.5 mile walk. 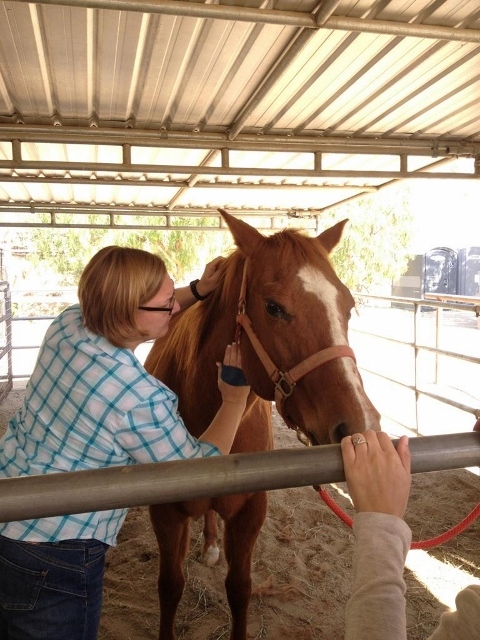 This was a very cool yet special experience to spend time with Ellie and the horses. If you go to their Facebook page, you will see Jackie walking Caesar. Click here to read about it. 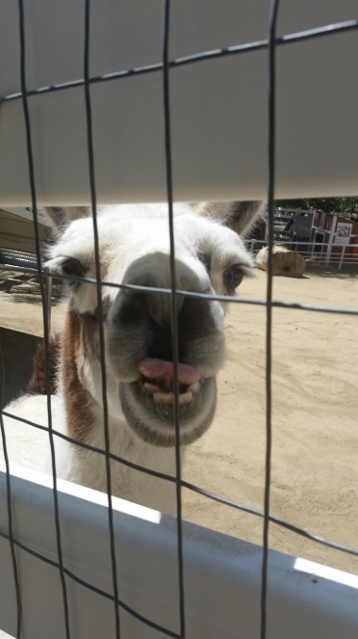 If that wasn’t enough, here is a photo of King the llama. I found out that he loves bananas, so after lunch one day, I saved a piece ok, the whole thing! I was able to fed it to him before the goats realized what I was doing and they were getting short changed that day! But don’t worry, I returned with more banana the next day for them. I think he enjoyed it, don’t you?